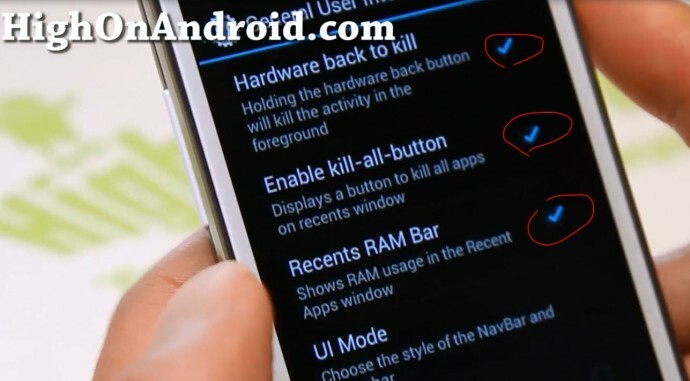 How to Use AOKP ROM Control Settings! 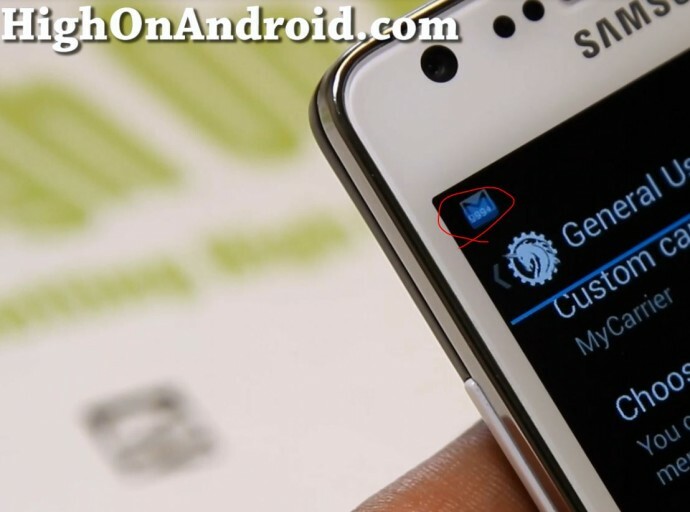 Whether you are running AOKP ROM, or any other ROM that uses ROM Control Settings such as PACMan, JellyBAM, or other AOSP ROMs, here’s a detailed step-by-step tutorial on how to maximize AOKP ROM Control Settings. By utilizing ROM Control Settings, you will be able to customize and use your phone 10 times better, just the way you want it! UPDATE: AOKP Ribbons and some more features have been added to latest AOKP MR1 Milestone 2 and up, check out AOKP Ribbons and additional features here also. General User Interface allows you to fully customize your UI. You can set a custom boot animation easily. To select a custom boot animation, simply download your favorite boot animation from AndroidBootAnimation.com then select it use “Set Custom” option. If you get error that you do not have a file browser installed, install “ES File Explorer” app from the Play Store. You will be able to preview your new boot animation, then hit “Apply” and reboot to see your new boot animation. You can also replace your carrier label such as AT&T, Sprint, Verizon, or T-Mobile with your own message such as “MYCARRIER” like I did here. This will show up on your notification and also on the lockscreen, kinda nice way to personalize your phone. By using Statusbar Brightness slider, you will be able to easily change the brightness of your screen by sliding along your notification bar at the top of your phone. For phones with hardware buttons (such as the Galaxy S2 I am using here), you will have additional option to kill apps by holding down the Back button, enable “Hardware back to kill” option. Also, you will be able to kill all apps and see how much RAM your phone is using in your Recents by enabling “Enable kill-all-button” and “Recent RAM Bar”. If you are using an Android smartphone or tablet that has a large screen, you can enable dual panel option that will allow you to see your Settings menus with dual panels. Do you like CRT screen animations? You can enable that using the “CRT Screen off” option. And also even set it to vertical CRT animation if you want to make it dependent on the orientation of your screen. Android OS by default does not allow upside-down rotation nor 270-degree rotation to the right but you can enable those with ROM Control Settings. With lockscreen settings, you will be able to activate various features to make your life comfortable such as skip songs without unlocking your phone using “Vome music controls” or even add your favorite widget apps to the lockscreen using “Allow all widgets” option (which Android OS normally doesn’t allow for all widget apps). Also you can set up to 6 different shortcuts with ability to set custom icons (you can crop your own images). Enable “Longpress status” and you can get additional 6 shortcuts for total of 12 shortcuts from the lockscreen. This is a great way to save time when you use your phone. For Power Menu, you can enable stuff like “Show Screenshot” and “Show Torch” to easily take screenshots or use your LED flashlight. If you have a phone like Galaxy S2 I am using here with hardware buttons, you can enable the navigation bar in ROM Control Settings and set up to 7 different shortcuts to your favorite apps and 7 additional longpress shortcuts for total of 14 different shortcuts. And of course, you can also do it for phones like Nexus 4 without the hardware buttons. Navigation ring is a hidden menu that shows up when you swipe up from the bottom of you r screen. Normally, it’s only set for GoogleNow but with AOKP ROM Control Settings, you can set up to 5 different shortcuts and 5 additional long-press shortcuts for total of 10 shortcuts. Navigation bar must be enabled for this feature to work, if you have a phone like Galaxy S2 that has hardware buttons, make sure you enable the navigation bar first otherwise this feature will not work! AOKP ROM Control Settings allow you to fully customize your quick toggles in notification bar. You will find option for three different toggle styles such as Tiles, traditional, or Scrollable. I prefer Scrollable since it takes up much less space and also shows along with your notifications. It’s easy to add more of your favorite toggles and change the order with AOKP ROM Control Settings. You will also easily be able to change the style, color, and layout of your battery, clock, and signal icons. 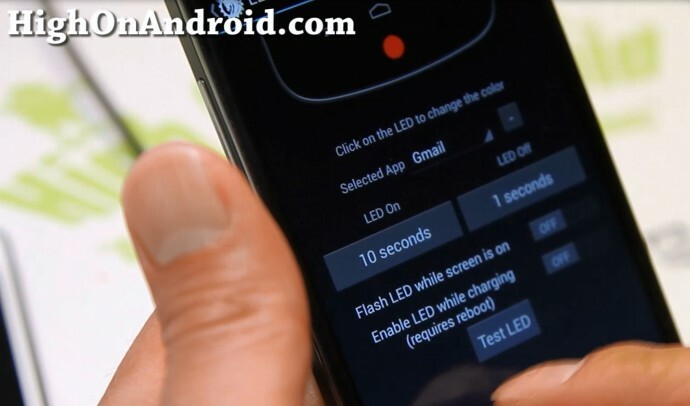 If you own a phone like a Nexus 4, Galaxy S3, or Galaxy Note 2 that comes with a dedicated notification LED, you will be able to set your LED colors for notifications on your favorite apps. For example, I like to set my GMail to red LED so I can tell whenever I receive a new e-mail in my inbox. Probably one of my favorite feature of them all, you can record and save your vibration patterns using ROM Control Settings. Remember the last time you were in your important corporate meeting and you have to put your phone on vibrate? Well, with custom vibrations, you can set different vibration patterns for your loved ones so you know even without turning your phone on you will know your wife/mistress called you. This is a great way also if you have an important call coming, you will surely step outside of your meeting to take it and ignore all others. There you have it, I tried my best to show you some of the best features about using AOKP ROM Control Settings. Now, go ahead and try it yourself and do let me know if there’s any really cool feature I forgot to add. That’s only on the PAC-man ROM which includes all the features of CyanogenMod, AOKP, and Paranoid Android in one. I highly suggest switching to it. You can locate it at http://pac-rom.com to download it and read more about it. hy, is someone know how to set default page on desktop? Hey zedomax! I’m loving the AOKP build 5 ROM you suggested for the one x, but in the ROM control I’m still unable to set up lock screen slider shortcuts via longpress. The lock screen menu in the rom control differs from that shown in this article, so I was just wondering if there was a solution to this. Thanks! Hey Max thanks for this tutorial. I have one question all the 4.2.# roms I have tried on my sgh i717 att, bluetooth doesn’t work. The bluetooth button doesn’t turn on. On a few roms, it turns on but it restarts 3-4 times and then no more bluetooth. Does the ParanoidAndroid ROM and/or Carbo ROM use this type of settings? It’d be awesome if they did. Carbon ROM does, not ParanoidAndroid. Is their no customization of the number of screens on the Home page for this ROM? I am asking about the default launcher within the AOKP ROM, should be giving us the option which i found on other ROMs. Its strange for AOKP to not have that feature. You did preview it and it showed up right? 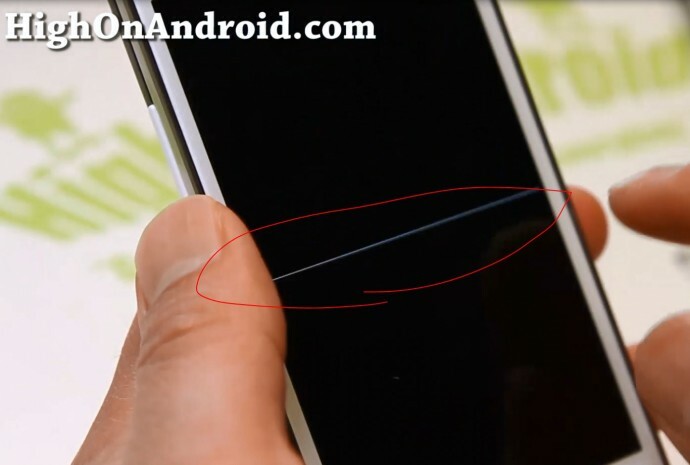 You will need to change the DPI settings in the display. hey,is there no reset default option for ROM control? Merci, pour ce tuto, mais perso pour la LED, ça ne fonctionne pas sur mon i9100, une idée ? Hey Max, Love what you do. Thank you. But, don’t have all the options in the ROM settings like in your video. Downloaded some new boot animation but don’t have General UI options on ROM control to access it. 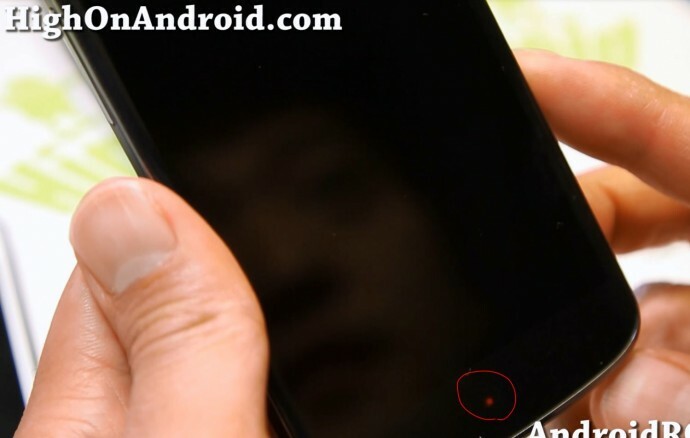 Believe it or not, there is no “vibrations” setting at all on my Galaxy s2 t989. I have the latest aokp rom installed along with uber kernel (to get bln). Any idea why it is not available? Many thanks. Previous story What is AOSP?